Protect your auto, car or other RV from ice accumulating around the tires and windows, pooling water, cracking from the sun's UV rays, dry rot, and even mildew. Built with Ø 1. 5 inch durable rust & corrosion resistant steels frame. 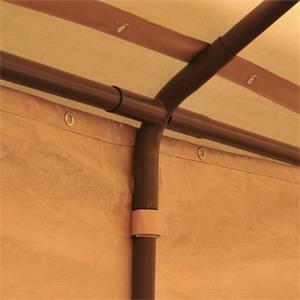 Heavy-duty bungees cord tightly secure the tarp cover to the powder coated steel frame. UV protection cover and sidewalls avoid overexposure to sun rays. 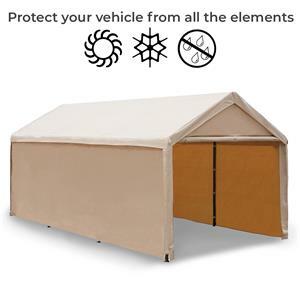 Great for commercial fair, picnics, social events, weddings, parties or large storage like cars, boats, motorcycles, ATVs and more. 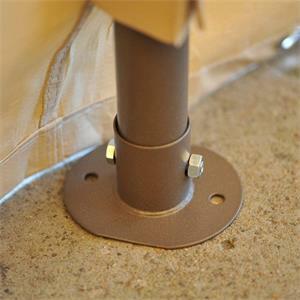 Can be placed on concrete, lawn, etc, either hard surface or semi-hard surfaces. Fast and easy assembly with few tools required. Heavy duty 1-1/2-inch diameter powder coated steel frame resists chipping, peeling, rust and corrosion and provides increased stability.